IndiGo reported its third quarter (ending December 31) results for the fiscal year ending March 31 2017 (FY2017). With earnings of Rs 487.3 crores, the results yet again failed to meet analysts’ expectations. As reported earlier, intense competition in the market, consistent fare sales and aggressive capacity addition have added to the revenue pressures. Perhaps for the first time Indigo saw a decline in operational performance. 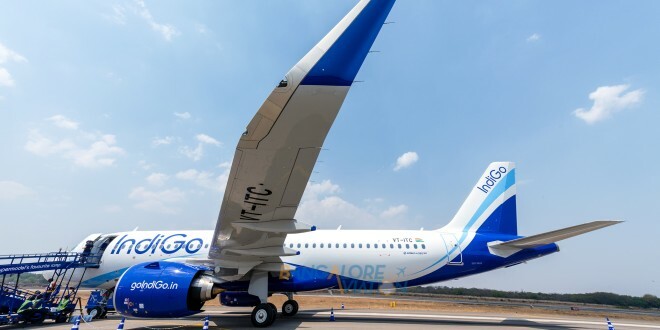 On-time performance – which continues to be one of Indigo’s core strengths and source of pride declined each month in the quarter (as reported by the DGCA which only considers four private metro airports of Bangalore, Hyderabad, Mumbai and New Delhi). Indigo’s OTP in October was 81% which then declined to 72% in November and 62% in December. This decline though was driven by weather, congestion and A320NEO performance issues – which were largely out of the control of the airline. Higher number of aircraft based in Delhi and Bengaluru (both of which saw winter fog) further complicated the situation. This had consequent impacts on schedule integrity which would likely have forced Indigo to reassess their ground times. Comprehensive OTP program in place to get OTP back to prior levels. Indigo while acknowledging OTP challenges also brought to light the fact that they are one of the few airlines that use use an automated reporting system (ACARS) which competitors do not. Indigo believes that competitors are not accurately reporting OTP and has asked DGCA and asked for a detailed investigation which it believes will lead to standardised OTP reporting. Additionally, as Indigo adjusted pricing to capture higher load factors (load factor for the quarter was 87% on a fleet of 126 aircraft), Indigo’s airport counters saw a huge surge in volumes. As reported by Bangalore Aviation (Analysis: The PW1100 GTF engine and the Airbus A320neo), engine issues on the A320neo continue to affect operators. Indigo was no exception and mentioned this on the investor call as well. Hidden in the details of the earnings transcript was the availability of spare neo engines which confirms Bangalore Aviation’s analysis of multiple engine changes being carried out on the neos. In spite of engine issues Indigo remains positive and mentioned that they may revise fleet guidance for the coming financial year. In fact, it seems they are quite proactive and have been able to get Airbus to divert the aircraft scheduled for Qatar airways to them instead (as a result of Qatar cancelling the order). As fuel continues to rise the neo will give Indigo an added advantage on costs (15% lesser burn) and also on their Sale and Leasebacks (as the neo premium will rise). The quarter saw a 25% decline in profit, driven by lower yields and higher costs. Capacity grew by 34% while traffic grew by 38%. While the growth of traffic (RPKs) ahead of capacity (ASKs) is a good sign, however, the higher volumes could not compensate for the low yields. The yield declines in this quarter were so dramatic that Indigo took time out to highlight these month by month. Specifically, yields declined 10% in October, 20% in November and 17% in December. 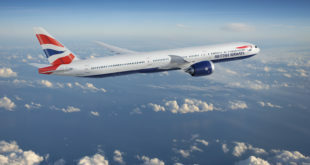 These were driven by an intensely competitive environment with both full service and low cost carriers attempting to capture passenger volumes in a market solely driven by price. Widebody aircraft deployment on domestic routes by Air India and Jet Airways, along with additional capacity for the winter season by all airlines, further resulted in yield declines. November also saw the impact of demonetization which hit Indigo harder, solely due to its size. While yield declines affected the revenue line, a fuel increase of 7.5% impacted costs. Indigo’s fuel costs were up 42% for the quarter, as compared to the same quarter last year. Revenue per ASK (RASK) declined by 12.8% while the CASK decline was only 2.9%. Ancillary revenues growth was also lower than the passenger growth. This was driven by government imposed limits on excess baggage charges, close to 20% reduction in cargo revenue, which makes up 50% of ancillary revenue, and also a later booking curve, which means fewer changes or cancellations, and their resultant fees. Indigo does anticipate paying a dividend for the year which will be a good sign for investors. Indigo was one of the most aggressive players in the Indian market with regards to expansion. It ended the quarter with a fleet of 126 adding eight aircraft during the quarter. Seven more NEOs will be added by the fiscal year end of March 31, 2017, a 133 aircraft fleet. Indigo CEO Aditya Ghosh mentioned that fleet guidance of ending March 2018 with 154 aircraft may even be revised upwards which indicates a continued confidence in the growth of the Indian market. Indigo announced network expansion adding a total of six new destinations. These included domestic destinations of Amritsar, Madurai and Mangalore and International destinations of Sharjah, Doha and Dhaka. The Amritsar destination was some what of a surprise as we will now see both Vistara and Indigo attempt to capture traffic. Similarly, while Sharjah is a perfect fit with the Indigo strategy and also leverages on the fact that Dubai airport simply does not have slots to offer, the Doha choice was somewhat curious as it puts Indigo in direct competition with Qatar airways the Delhi-Doha and Trivandrum-Doha routes. Indigo fundamentals remain strong but it may need to temper expectations. Despite an extremely challenging quarter Indigo’s fundamentals remain strong. Its large cash balance, zero working capital debt, large marketshare and lowest cost position in the industry make it a formidable business. That said, expansion challenges will have to be taken head on as the coming year will see rising costs including fuel, USD, airport charges, levies and taxes. Revenue pressures will continue with competitors such as GoAir and Vistara inducting capacity (our estimates show that SpiceJet and AirAsia India will not induct any capacity till the end of Q4FY18). Indigo also will need to temper expectations that come from it being a public company as investors will be looking for growth which may not come at earlier levels. All in all, IndiGo continues to be a profitable carrier however, profit levels will remain depressed for a while.